This week has been so productive and plain FUN!! I had two days off to spend with my husband. I have had tons of time with friends [including a craft day today making fall and christmas decor] and lots of fun shopping finds. This is the week of free and sales for me. My heart is full. Yesterday was an amazing sale day. With it being halloween ALL fall and halloween decor was 80% off at Michaels. I walked out with 5 bags totaling only $26!! If I were you, I would head over to your local Michaels and check it out! I have been following Lara Casey for awhile. I was so excited when I won a free print of hers. [THIS ONE HERE] It now sits framed in our kitchen. 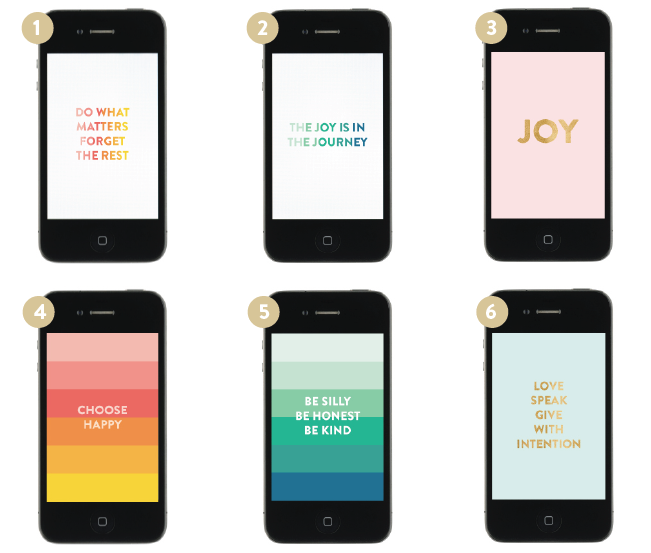 Well I was reading through Lara’s website/blog and noticed one of her friends Emily Ley, who just so happens to have some incredible design talent and has a ton of FREE phone wallpapers. You better I believe I downloaded a couple of them right away. Go HERE to get yours! She has some other amazing freebies HERE too. Let her know I sent you if you download anything!